Update 27th June 2017. Here we go again! Or actually Emilia goes with her duo Emilia Lajunen & Suvi Oskala, and Kare just follows hauling the family in a trailer. This summer’s tour is still just a small one in the Turku Archipelago. The duo will play a few concerts along The Archipelago Trail. Check out the press release and the concert dates. Update 30th August 2016. The tour is actually not over – it is an ongoing project. Summer 2016 has been a bit silent due to maternity/paternity leave, but we will come back in summer 2017. Check latest updates from the blog. Update 3rd October 2015. The tour is over, but these pages still document the events and our feelings. Some self-reflection in the blog. Thank you to Kone Foundation, Pelago Bicycles, Tauko Design and, above all, to organizers, listeners and followers. Oh, what a ride it was! In summer 2015 fiddler Emilia Lajunen will make a concert tour in Finland by bicycle: Two months, more than 20 concerts in music festivals, more than 2000 kilometres. The idea of the tour is to return to the roots of Finnish tradition of vagabond fiddlers. On the other hand the idea is to save the world by showing that a CO2-free tour is possible even today. In old times the Finnish fiddlers moved around by their own means – walking or biking. They traded their craft for food and accommodation. And they met real people, not just anonymous audience. That is why also Emilia Lajunen’s tour includes more than the festival concerts. She will play in village squares, campsites and private homes. Lajunen carries with her everything that is needed for the tour: violin, nyckelharpa, clothing, tent, kitchen, spare parts… That really is possible – not just for an experienced cyclist like Lajunen, but for everyone. To fight climate change all you need is a change in attitude. Lajunen makes the tour with her husband, music journalist Kare Eskola, who is in charge of media connections, bikes and logistics. 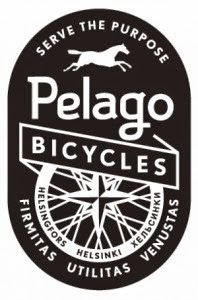 The tour is supported by Kone Foundation and Pelago Bicycles. You can follow the tour in the blog. It is mainly in English.